Director Tim Burton has reimagined the story of Dumbo for a new generation. Filled with whimsy and a menagerie of new friends, the story of the little flying elephant expands to tell a heartwarming and emotional tale. 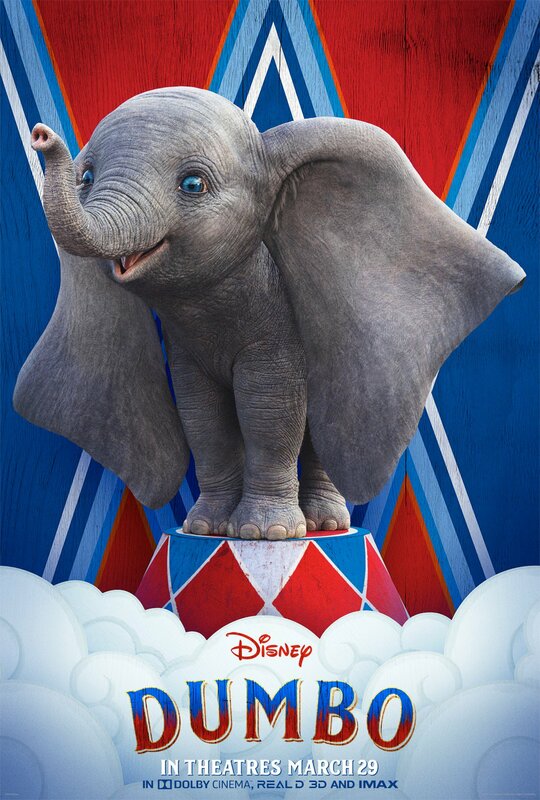 Among Dumbo’s new friends are the Farrier children played by Nico Parker and Finley Hobbins, Colin Farrell as their father Holt, and aerialist Collette Merchant played by Eva Green. Together with the rest of the circus, they come together to protect Dumbo when he reminds them of the innocence they once had in the face of a cruel world. The film also reunites Burton with collaborators Danny DeVito and Michael Keaton. Writer Ehren Kruger and producer Justin Springer, sat down with ComingSoon to talk about expanding the world of Dumbo, finding inspiration in the history of the circus and why Tim Burton was the natural choice to helm Disney’s latest live-action film. ComingSoon: Going into the source material for your film, which is essentially the Dumbo animated classic, what was your approach to finding the story you wanted to tell while still keeping true to what the story is known for? Ehren Kruger: That was the most important thing when we started talking about the story ideas, it’s not worth doing unless we were going to honor the spirit and themes of Dumbo–what that character represents and the optimism. We had to have that hope and sweetness in this movie. 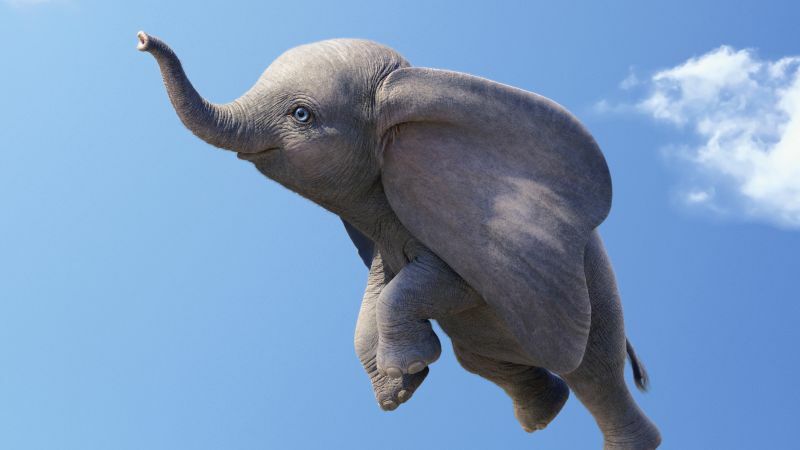 For me the reason to use modern visual effects and technology that can create a photo-realistic flying elephant–the reason to do it is to approach that story from a slightly different angle. The 1941 classic tells the story from the point of view of the animals and we felt that there’s this opportunity to use this technical realism to make an audience feel like they’re part of that circus world–they’re a part of Dumbo’s circus. And that necessitates telling that story through a realistic frame–the eyes of human characters. That’s how we started developing creating a human family to surround Dumbo with for this version. Justin Springer: The original film is so poignant and ends with him flying on the stage for the first time in the real world and then its all over. Well, then what? How does the world react to an elephant that can fly? How does it change people’s lives around him and his life as well? That feels like there’s a whole lot of story to tell. From a creative perspective, a reason to reimagine this is to find that thing that makes it relevant again today that feels like there’s something left on the table and really expand on that. CS: With that in mind, where did you pull inspiration from to create the menagerie of characters that change and transform through meeting Dumbo? Kruger: I think anyone who watches the original film Dumbo, responds to his character because they recognize that in themselves–the recognize self-doubt, they recognize a sense of feeling flawed, these are things they respond to Dumbo turning that around as a source of strength and a badge of individuality. So in creating a menagerie of human characters I just wanted to create a set of characters who were flawed in different ways–whether physically or mentally or they just doubted themselves and that they could be inspired by the story of this flying elephant’s sense of self-discovery and that would be meaningful to them. We just did a lot of research on performers in the circus and who they were at the time and who these families actually were. There were from nations all over the world and they were from all sorts of different backgrounds. Springer: We wanted to go out and sort of cast this distinct and diverse tapestry of circus characters from around the world. It was really important for Tim to get authentic circus performers. What were the conversations like with Burton to incorporate his story sensibilities into the script? Did anything really change or was it more of a collaboration of finding where the story can go? Kruger: I think we were very much on the same page from the beginning. The finished film resembles the first draft of the script in most story ways. For instance, in putting the circus family together, one thing that changed was Danny DeVito’s character Max Medici was originally written as a much younger character. As someone who looked up to Vandevere. Tim rightly so said to make him an older man at the end of his career and looking at what he wanted to achieve but couldn’t. There’s a poignancy in that. Springer: Tim came at it from a perspective of affection for Dumbo. It’s a story he loved from the Disney canon of fairytales and I think he wanted to honor that film and make a Dumbo movie and just really wanted to make his version of that. You can’t help but feel like it’s a Tim Burton movie in the sense that anything he makes comes through in the characters and designs but at the same time it feels warm and classic. It feels like a Dumbo film first and foremost.